Rabb’s mother sent her information about the San Francisco State University program, which helps the formerly incarcerated attend college by offering special admissions, counseling, tutoring, lunch vouchers and financial support. Rabb wrote letter after letter to Project Rebound administrators before her release and has been enrolled at SF State as an Africana studies major since 2014. 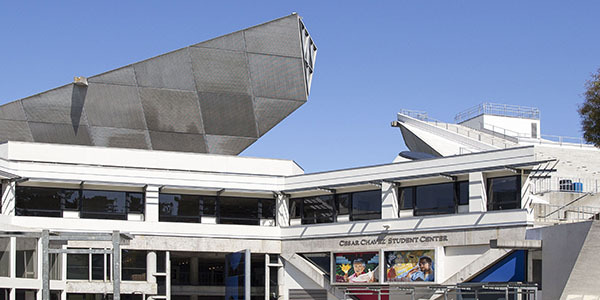 Project Rebound was founded at SF State 50 years ago. It has served as a model for similar programs at universities around the country and was expanded to seven other CSU campuses last year. This week, it celebrates its anniversary with several events at the Cesar Chavez Student Center. “Fifty years on campus — I don’t think any program has ever sustained that length of time here,” said Curtis Penn, the program’s interim director. Since 1967, the program has helped thousands of students navigate the process of getting into and graduating from college, Penn said. Established by the late John Irwin, a formerly incarcerated individual who became an SF State sociology professor and internationally recognized advocate for prisoners’ rights, the program helps those who have spent time in jail or prison earn college degrees, drastically reducing the likelihood they will turn back to crime. The program offers special admissions for men and women who may not normally qualify for acceptance. 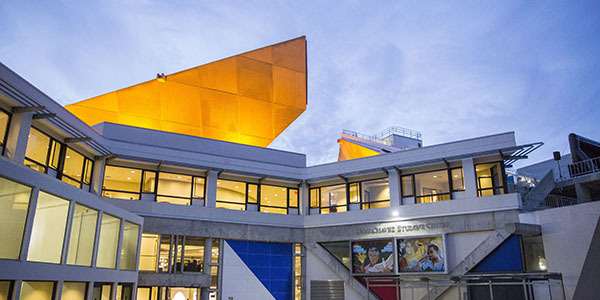 Prospective students get support while preparing to attend SF State. Once on campus, Project Rebound provides students with food vouchers, BART tickets and money for books. The program also connects participants to student interns who help them navigate college. And if a participant has problems with parole or trouble receiving a state license for work such as nursing or counseling, Project Rebound is there to assist. The expansion in 2016 to CSU campuses in Bakersfield, Fresno, Fullerton, Pomona, Sacramento, San Bernardino and San Diego was funded through a $500,000 "Renewing Communities" grant from the Opportunity Institute and brought the program to Southern California for the first time. Rabb said she felt accepted the first day she walked into Project Rebound’s offices. Rabb plans to graduate in another year or so and would like to earn her teaching credential. She plans to teach history and dance, possibly to junior high and high school kids. Thursday’s commemoration will feature three guest speakers: Jody Lewen, the director of the Prison University Project at San Quentin; Trina Thompson, the first African American female to be elected a Superior Court judge in Alameda County; and James Forman Jr., a Yale University law professor who recently wrote “Locking Up Our Own,” a book about mass incarceration in the United States. There will also be a formal dinner and a dance performance that will include Rabb, a dance minor. Penn said video footage will also be shown of Irwin talking about his vision for Project Rebound. Also this week, “Expression of Liberation: 50 Years of Project Rebound” opens at the Associated Students Art Gallery. The exhibit features artwork created by Project Rebound students and alumni, with some pieces made while the artists were incarcerated.